You can find the main subject of this post after the break. At the big attractive center lies the great crystal spoiler. 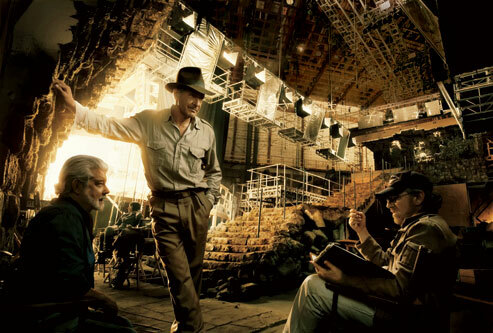 Don’t look at it if you want to keep the movie a mystery. 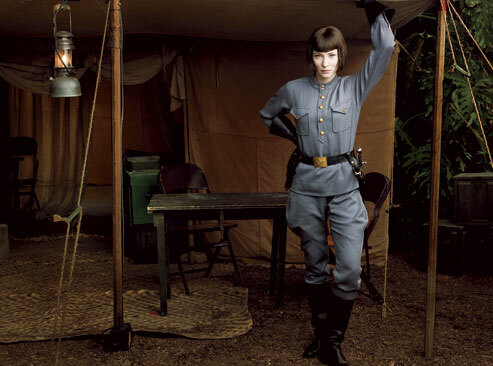 It also features Cate Blanchett, Ray Winstone and Shia on a motorbike. The picture comes as the official cover to the comic adaptation by The Dark Horse (spoiler here too), to be published on May 22nd. 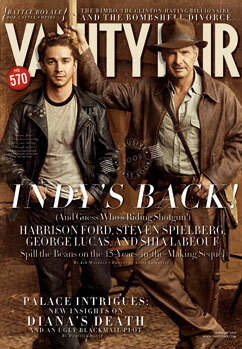 “[Indy's] teaching and having kind of a quiet life,” the producer says. 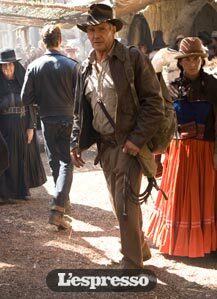 Once the archaeologist is thrust back into danger, the signature Indiana Jones red line tracing across the map will take him to New Mexico, Connecticut, Mexico City and the jungles of Peru. Skot was kind enough to send in a little teaser of information he discovered on the Lego website, Brickset. 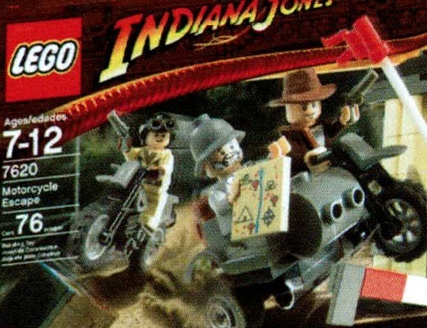 A search there for Indiana Jones reveals a set of upcoming Lego releases, the first is entitled, “Motorcycle Chase” and is complete with box art. 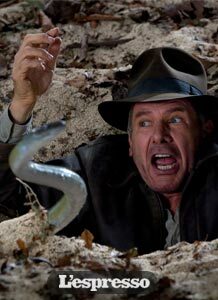 What is more interesting are the four other Lego sets, which currently have only a title: Jungle Duel, River Chase, Jungle Cutter and Temple of the Crystal Skull.